In 2002, the American Football Coaches Association and the American Football Coaches Foundation decided to implement a national award for high school head coaches. Since this award is so prestigious, we ask state high school coaches associations to nominate the most deserving head football coach in their organization. The AFCA and The Foundation take great pride in nationally recognizing a high school football head coach who, for a lifetime, has had a powerful influence on his staff, players, and his community. 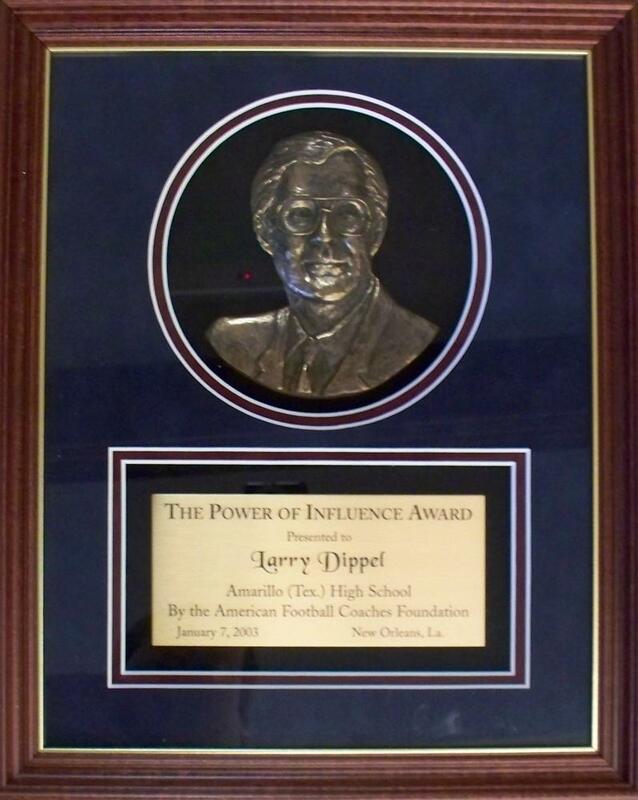 To learn about past Power of Influence Award recipients and to learn more about how to nominate a coach Click Here. The essence of the game of football is embodied in "The Spirit of Giving." Coaches give their effort, knowledge, time, talent and resources to those that play the game. The players give, in the same way, to the game and to each other. 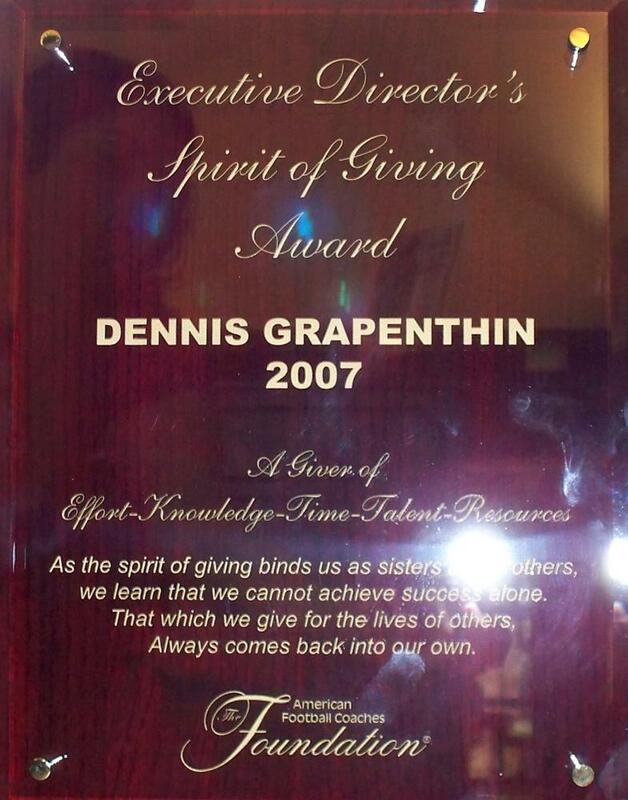 The Executive Director's "Spirit of Giving" Award goes to an individual who personifies this unique spirit of giving. It is only awarded when such an occasion arises in which the Executive Director wishes to express gratitude and appreciation to a deserving individual on behalf of the American Football Coaches Foundation. Please take a moment to learn more about our honorees Click Here. From the onset, the Randy Walker Power of Influence Golf Outing was developed to be much more than just a great day of golf and a fundraising initiative. It is designed to highlight the outstanding leadership education the AFCF provides to coaches at all levels who, in turn, not only pass those successful coaching traits on to other coaches, but influence the lives of millions of young people across the nation. 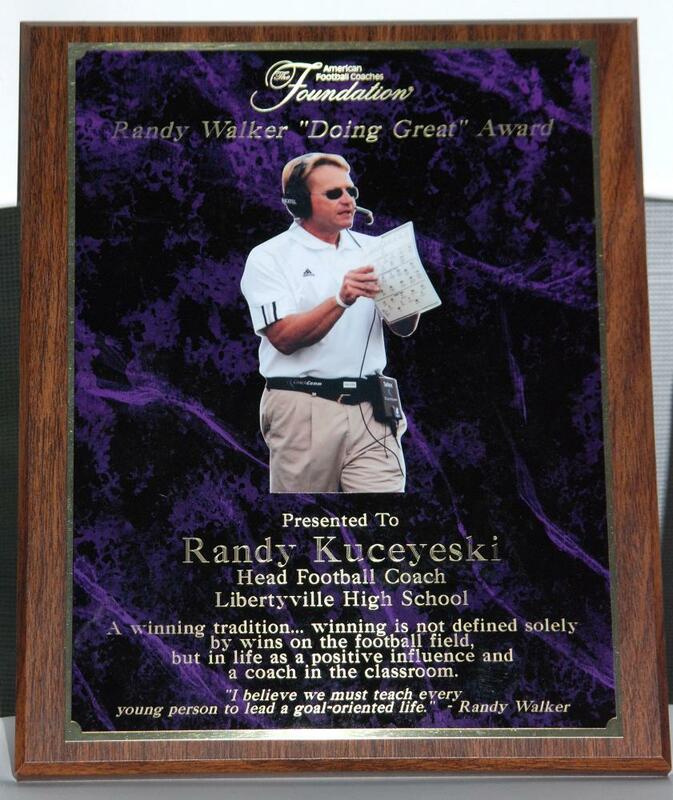 When we lost Coach Walker, the golf outing provided the opportunity to honor Randy's legacy as a coach and overall leader and his commitment to the AFCF. Every year, AFCF gives the Randy Walker "Doing Great" Award to a deserving coach who reflects the same leadership and positive influence on the young players as did Coach Walker. Here is a list of our previous winner. The Texas Coaches Influence Award is given yearly at the Texas Power of Influence Golf Outing. 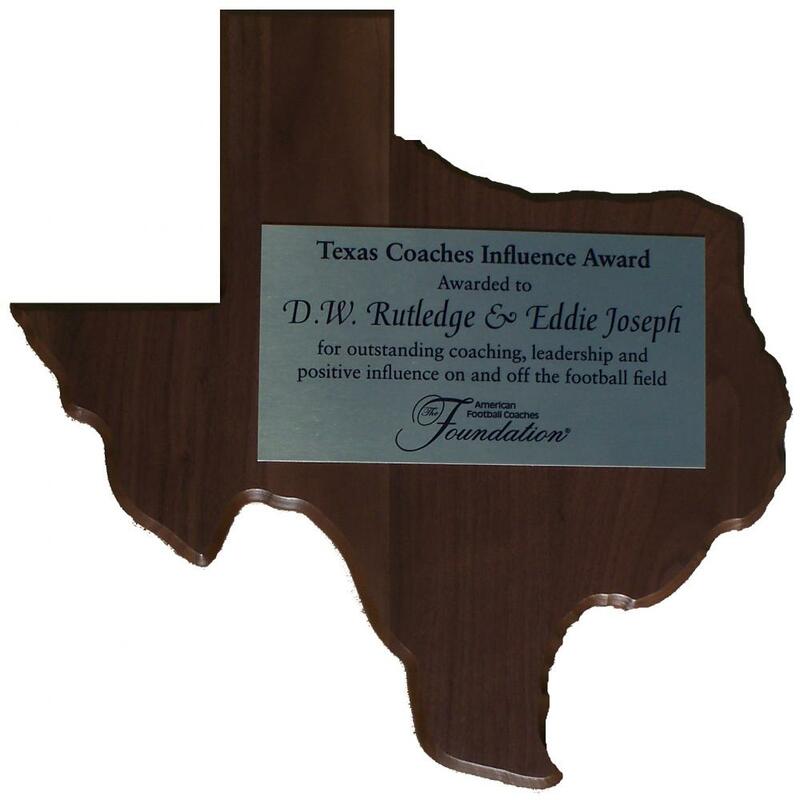 The award honors those who have had a strong and noble influence within the game of football, in Texas. 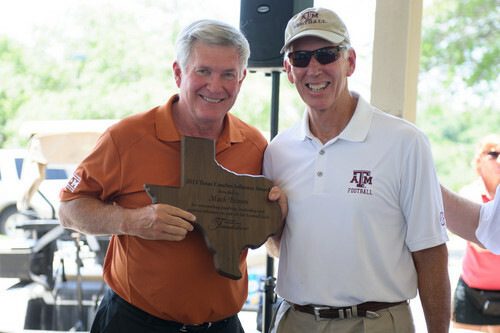 The AFCF honored Head Coach Mack Brown from The University of Texas with the 2013 Texas Coaches Influence Award. In 2010, both Eddie Joseph and DW Rutledge received the award.